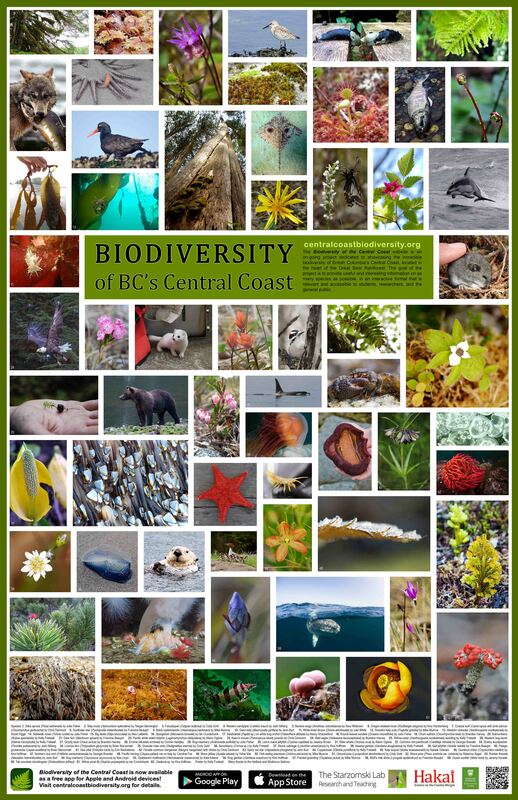 Please see the Biodiversity of the Central Coast website for information on the species we have found during our research and teaching in the Great Bear Rainforest. You can download the free field guide app at the app links here. Hoffman, K.M., Lertzman, K.P. and B.M. Starzomski. 2017. Ecological legacies of anthropogenic burning in a British Columbia coastal temperate rain forest. Journal of Biogeography DOI:10.1111/jbi.13096 http://onlinelibrary.wiley.com/doi/10.1111/jbi.13096/abstract. Hudson, L. N., T. Newbold, et al (including B.M Starzomski). 2017. The database of the PREDICTS (Projecting Responses of Ecological Diversity In Changing Terrestrial Systems) project. Ecology and Evolution 7:145–188. B.M. Starzomski. 2014. Indicators of Ecosystem Change. Encyclopedia of Quality of Life Research. Springer. B.M. Starzomski. 2013. Novel ecosystems and climate change. In: Hobbs, R.J., E.S. Higgs and C. Hall (eds). Novel Ecosystems: when and how do we intervene in the new ecological world order? Blackwell. Hulvey, K.B., L.M. Hallett, R.J. Standish, B.M. Starzomski, K.N. Suding S.D. Murphy, P. Kennedy, C.R. Nelson, M.R. Gardener. 2013. 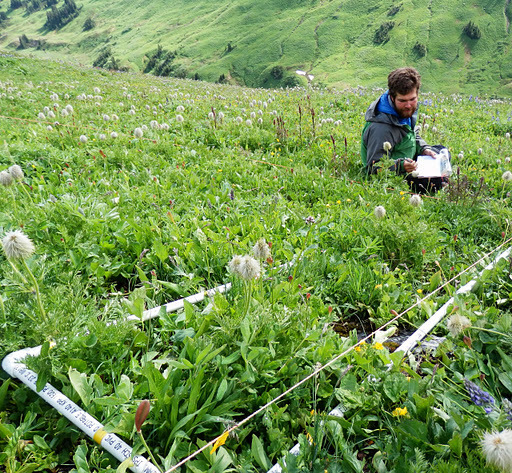 Incorporating Novel Ecosystems into Management Frameworks. In: Hobbs, R.J., E.S. Higgs and C. Hall (eds). Novel Ecosystems: when and how do we intervene in the new ecological world order? Blackwell. L.M. Hallett, R.J. Standish, K.B. Hulvey, M.R. Gardener, K.N. Suding, B.M. Starzomski, S.D. Murphy, J.A. Harris, C.R. Nelson. 2013. Towards a conceptual framework for the management of novel ecosystems. In: Hobbs, R.J., E.S. Higgs and C. Hall (eds). Novel Ecosystems: when and how do we intervene in the new ecological world order? Blackwell. B.M. Starzomski 2012. Clarity, confusion, and idea refining in ecology. Ideas in Ecology and Evolution. Straka, J. R., and B. M. Starzomski. 2012. Reply to Bortolus: what’s in a name? Trends in Ecology & Evolution. doi: 10.1016/j.tree.2012.08.003. B.M. Starzomski. 2012. Climate change and the conservation of BC’s leading-edge species at risk. Pacific Institute for Climate Solutions Briefing Note 2012-40. Silver, R.S., N. K. Dawe, B.M. Starzomski, K. L. Parker, D. W. Nagorsen. 2011. A tribute to Ian McTaggart-Cowan, 1910-2010, O.C., O.B.C., PhD, LL.D, F.R.S.C. Canadian Field-Naturalist B: 367-383. Starzomski, B.M., D. Suen, and D.S. Srivastava 2010. Predation and facilitation determine chironomid emergence in a bromeliad-insect food web. Ecological Entomology 35: 53-60. Starzomski, B.M., and C.D. Brown. 2009. Ecology, evolution and genetics join together on Canada's east coast. Biology Letters. doi: 10.1098/rsbl.2009.0489. Starzomski, B. and Bondrup-Nielsen, S. 2002. Self-organization in ecosystem structure and function: implications for environmental management. In: Eds. Bondrup-Nielsen, S., Munro, N.W.P., Nelson, G., Willison, N.W.P., Herman, T.B. and P. Eagles. Managing Protected Areas in a Changing World. Proceedings of the Fourth International Conference on Science and the Management of Protected Areas. Published by Science and the Management of Protected Areas Association. pp. 505-514. Rael, R. and B. Starzomski. 2004. Integrating food web structure and dynamics: effects of targeted extinction. Proceedings of the Complex Systems Summer School, Santa Fe Institute, June 2004.